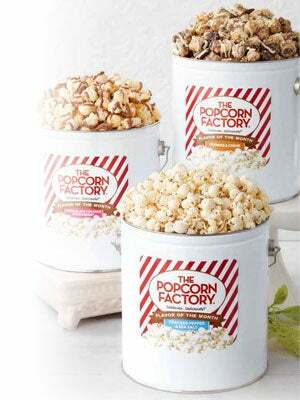 Cheer on your favorite college team with our gourmet popcorn tins! These make the perfect gift for a current college student, alumni, or any college team fan! 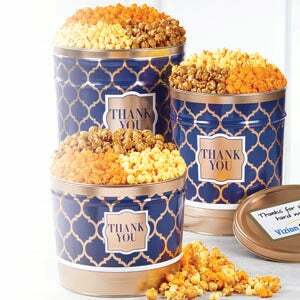 Each tin is filled with our 3-way selection of real butter popcorn, traditional cheddar popcorn, and our "secret recipe" caramel corn. 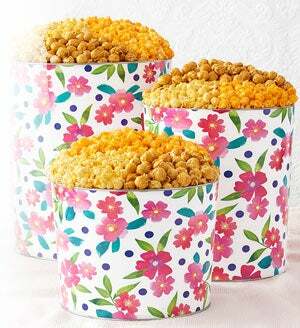 Whether you’re watching the game at home or tailgating, our college team popcorn tins make great snacks while representing your team and showing your pride, and they make great care packages, too!